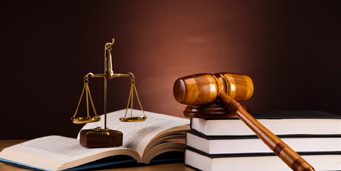 Paralegal services have many opportunities to fulfill one’s career aspirations. Conceived in the 50’s of the bygone 20th century, the market for legal purpose outsourcing got a jab of growth in the wake of IT revolution. There are many promising aspects of internet application in legal aid services. If off-shoring of the different non-core legal process of a firm through the virtual world is one of those benefits, then comprehensive data search in order to index and organize all the relevant information required for preparing the arguments in a litigation process. E-discovery Services is the official terminology referring to the search and processing of relevant data in legal purposes through an electronic mode. It is fast, comprehensive and easily accessible. It will be misleading to say that acquiring data from virtual storage’s is the only aspect of E-discovery. Rather it is the tiniest aspect of any E-discovery services considering the complexity of other tasks under its purview. Efficient handling of electronically stored information (ESI) is the key to successful litigation. However, the job is becoming more daunting in the face of the aggravating volume of electronic information. The challenges are new with respect to traditional paper review and due to the new rules, there is always an underlying caution in every step of procurement of e-data. Such barriers can only be overcome with electronic systems and strategy (ESS) planning which is a common thing for competent E-discovery services. There exist ESS attorneys complemented by Discovery Resource Center and latter between them work under the formers’ guidance for quick data identification at a significant safe rate. Withal the Practice Technology Services (PTS) is the hallmark of stalwarts in E-discovery services, for say, LEGAL SUPPORT WORLD. PTS is always striving to instate sophisticated infrastructure and deploying the latest software applications for better procurement in a time-effective manner. There are several implications of the electronic discovery procedure which was unheard earlier. As we, now, bank more upon desktops; different portable storage devices and in cloud space; it is quite understandable that attorneys now seek for important clues and evidence in those virtual storage spaces for a grounding breaking achievement of the deadlock in a litigation process. The practice of E-discovery services provides a safe and quick way of data retention in non-physical inventory. In this way, the attorneys are privileged with a litigation readiness. Back-up options are also very space-saving yet assuring as any forensically extracted evidence can be stored in multiple discs in a prevalent format for preservation until it is placed on legal hold. When it comes to E-discovery or litigation support services and successful data management, LEGAL SUPPORT WORLD is the name to reckon for. With a full armament of security measures like biometric access by personnel; all-embracive data backup; multiple top-notch internet providers for round-the-clock uninterrupted access are the signature traits of the company. Their process integrates your audio or video data at a greater speed, accuracy and volume than anyone else accounting for its popularity as the leading E-discovery services. 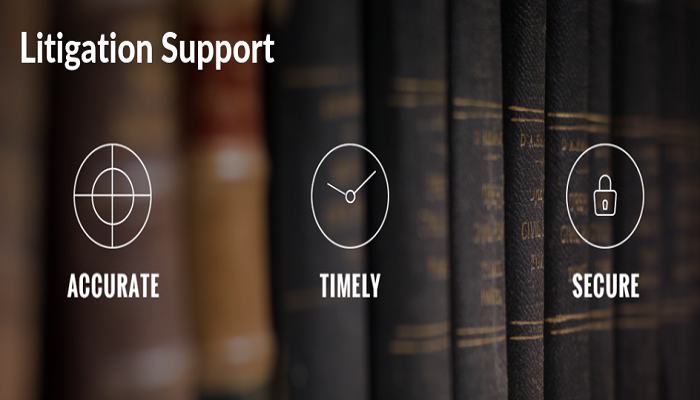 The unmatched infrastructure and data procurement technology of LEGAL SUPPORT WORLD gives you an edge over the opponent in any litigation process. The installation of virus protection and VPN network further ensures that the confidentiality is only be shared between the clients and their attorneys.